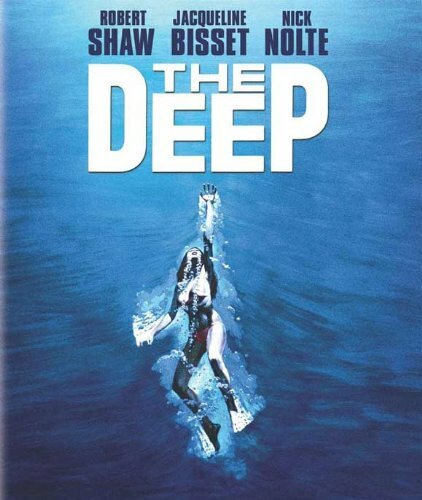 Brief Synopsis – A treasure hunting couple diving near Bermuda come across a sunken ship that contains important artifacts wanted by local criminals. My Take on it – This is yet another film that I had never heard of before choosing it for this series and was extremely pleased that it was so enjoyable. They do an excellent job keeping this story both as fun and as thrilling as an adventure film can be and they get so much right along the way. Nick Nolte and Jacqueline Bisset are both perfectly cast in the lead roles here and do so well with the characters they are given. Robert Shaw also adds so much to the film in the role of mentor and helps keep things intriguing throughout. I’ve always been a fan of Louis Gosset Jr. and it was quite interesting seeing him in the role of a villain which is so different from the kind of roles that we are used to seeing him portray. The story feels like a roller coaster ride and at some points gets a bit too complex for its own good, but they usually do quite a nice job trying to explain things to the viewer in simpler terms. The cinematography of this film is superb and they have some amazing shots filmed underwater that really make the viewer feel as if they are right there alongside the characters in teh thick of things as the story moves along. Bottom Line – Really fun adventure film that does so much right. Nolte and Bisset are both great in the lead roles and having Shaw in a key role also helps things. Loved seeing Gosset Jr. in the villain role which is very different from what we are used to seeing him in. The story gets a bit complex at certain points, but they do a nice job trying to explain it all. Amazing underwater scenes are shot really well that the viewer gets the feeling that they are right there with the characters. Recommended!